KOKOMO, Ind. 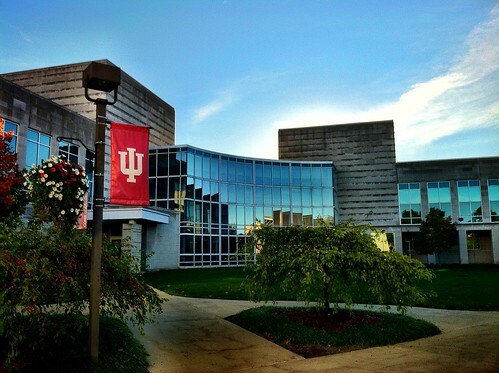 — U.S. News & World Report ranks Indiana University Kokomo among the best regional campuses in the Midwest, a first-ever mention for the campus that includes a Tier 1 level, and the only IU regional campus to receive this recognition. Hunt HallThe 2013 annual report, released Wednesday, September 12, lists IU Kokomo as a top regional campus in the category of regional colleges that focus on undergraduate education but grant fewer than half their degrees in liberal arts disciplines. Among the 74 ranked, only seven of those are public institutions. "This is another historic moment for IU Kokomo as we are recognized as a world-class regional campus because of our strategic and intentional efforts to bring higher education that is relevant to the needs of north central Indiana," said Chancellor Michael Harris. "This campus is a clear destination of choice, as many students select IU Kokomo because of the academic offerings, affordable tuition, and our vibrant campus life. We will continue to focus on the academic excellence and success of each and every one of our students." IU Kokomo is known for its world-class education, offering an IU degree with a private school experience at a public school price. The student-faculty ratio is 17:1, and the school has 50.9 percent of its classes with fewer than 20 students. More of IU Kokomo's information and ranking can be found at this link: http://colleges.usnews.rankingsandreviews.com/best-colleges/indiana-kokomo-1814. The rankings allow for an at-a-glance comparison to the relative quality of institutions based on such widely accepted indicators of excellence as freshman retention, graduation rates, and the strength of the faculty. The criteria for rankings can be found here: http://www.usnews.com/education/best-colleges/articles/2012/09/11/how-us-news-calculates-its-best-colleges-rankings.